Catheter Ablation, Coronary Angiography, Coronary Artery Disease, Heart Attack / Myocardial Infarction. 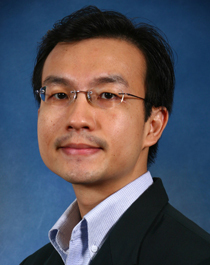 Assistant Professor Ho Kay Woon is a Senior Consultant in NHCS. He subspecialises in interventional cardiology with special interests in percutaneous coronary artery intervention, percutaneous valvular therapy including transcatheter aortic valve implantation (TAVI). He is also active in medical education being the Director of Medical Student Education in NHCS, with contribution to teaching of medical students from Duke NUS, Yong Loo Lin School of Medicine and Lee Kong Chian School of Medicine. Asst Prof Ho has also assisted and coordinated cases for various international and local interventional cardiology meetings, including EuroPCR, Singapore LIVE/AsiaPCR course, and local CTO courses.